Call it switching, transferring, moving, or discharge, but moving between assisted living facilities or moving between nursing homes can be difficult. It’s hard to admit that you need an assisted living facility or nursing home to provide daily assistive services. Many times, a choice of senior homes providing skilled nursing care is made as a reaction to an emergency when someone realizes that a senior is no longer able to care for themselves. This decision is often made hastily, without the benefit of time for good research and comparison. Transferring between assisted living facilities or nursing homes is very common. Most transfers to new facilities occur within the first six months. Why? There are many reasons why you might want to move from your current assisted living facility or nursing home. Possible reasons are as numerous and personal as the individuals involved. Family members living locally might need to move and the extended family wants the senior family member to stay close to maintain a family connection. This is leaving a caregiver on good terms where there aren’t usually any hard feelings or resentment between caregivers and the resident. The billing department however might be another story. You might not be happy with the current facility’s care or operating procedures and think you can find a better place to live. It’s important to keep an objective mind when comparing current and potential conditions. It might be that you don’t like the fact that you need the care, rather than the quality of the care you are receiving. If that is the case, any place you move to will eventually make you unhappy. Maybe you are happy with your current home at an assisted living community, but they are no longer able to provide the care that you need. Some assisted living facilities or nursing homes are specialized for a specific phase of elder care or only provide basic care. 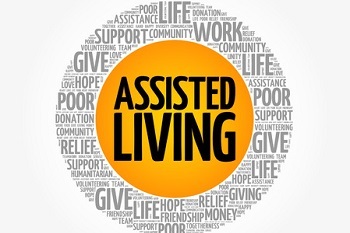 Residents of assisted living facilities are no longer able to live independently. If there is a decline in mental ability or health at an assisted living facility, it could mean a move to a nursing home is needed for daily medical care. However, nursing homes accepting Medicare are prohibited from listing staffing as a reason for transfer or discharge. “Appropriate, individualized care” is a mandate in Medicare law. Therefore, they are legally prohibited from discharging a resident due to an inability to care for the resident, even if they are a specialized facility. Sometimes you like the people who you are interacting with, but it is the operating procedures that are a problem. Someone in a back office might establish a billing or operating policy that benefits the facility either monetarily or legally with little regard for the resident. Facilities might start sending the senior resident to the ER more frequently for advanced care rather than treating in-house. A hospital might keep the ER patient for a couple days to stabilize and in the meantime, the original facility is still holding the resident’s room and collecting fees without providing care and reducing liability. This will cause billing increases with ambulance and ER charges, let alone the life disruption for the resident and family members who will trust the professionals because “it’s policy”. Very few people second guess doctors or trained professionals in a health emergency. There are cases where assisted living facilities and nursing homes evict residents. Residents of assisted living facilities and nursing homes sign an agreement which outlines rules. The facility is responsible for maintaining a safe and orderly home and provide certain care. There are multiple reasons given to justify an eviction from these senior homes. They commonly range from the endangerment of others’ health, failure to pay bills, or the facility goes out of business. Endangering others’ health isn’t necessarily violence towards others. It can include smoking where it is prohibited, frequent falls, paranoia, challenging dementia symptoms, and certain sexual behavior or harassment. Find an Elder Law attorney immediately if you receive an eviction notice or if you are repeatedly threatened with eviction. There is an appeal process, but a written appeal must be filed within 10 days and an attorney will need to build a case in that short time. You have more flexibility on timing your move if you are paying the fees privately, without Medicare, Medicaid, or insurance involved. However, at some point, most residents of assisted living or nursing homes consume their private funding and will require Medicare or Medicaid. Insurance is processed monthly. It’s important to understand the timing of billing and the personal allotments provided. There can be a great difference in costs if you move on the 1st of the month versus the 15th of the month or later. Go over the billing process with the assisted living or nursing home billing department if you begin to consider moving. You want to make sure that you know the details of the billing without telling them about your motives. You want to learn how the system works. Now, contact Medicare or Medicaid to learn their process. 1-800-MEDICARE or medicare.gov or Medicaid.gov or the Medicaid office in your state. You will better understand the situation when you know the two perspectives. Generally, you should not disclose your intentions of moving to the senior home management without first having another solution in place and understanding the benefits of good timing. Even if you are unhappy with the care or the management, don’t act in haste and leave the facility without the decision made of a new living solution. Changing homes affects seniors, particularly if they have made friends and participate in a set schedule. Moving between two states and using Medicaid can be difficult, but it’s not impossible. Medicaid is administered and operated by each individual state, but there is a federal requirement that no person can receive Medicaid benefits from two states at the same time. A resident of one state must close out their Medicaid case before applying for Medicaid in another state. It’s important to note that benefits are allowed to be retroactive back to the date of application. However, new cases might take 30 to 90 days to be approved. New residents to that state would need to make private arrangements for payments to senior long-term care homes until those benefits kicked in. Because each state sets their own Medicaid regulations, it’s important to determine if the potential new state’s definitions of “level of care” are the same as those of the original state’s. Some state Medicaid programs set limits to the level of care provided at different types of facilities. It might be a good idea to get a medical evaluation within the new state to determine how you will be classified in the new state’s Medicaid program. Residents of assisted living facilities and nursing homes have rights. There are strong laws for these senior residents, however enforcement of these rights is commonly weak. Knowing your rights is important if you want those rights enforced. Don’t be taken advantage of by billing departments who cite policies and regulations. These facilities want to be on the winning side of this transfer. There are plenty of documented cases of improper tactics for involuntary discharge and misrepresented regulations in order to falsely receive excessive payment. If you receive an eviction notice, commonly referred to as “involuntary discharge” or suspect a facility is in the wrong, then seek counsel immediately. Management of these businesses attend trade organization meetings and events and often talk to each other. It can be difficult to find placement at a new facility once a senior is evicted. You should also know the fact that these notices are often invalid because they were improperly prepared. There are several resources available for help. Medicare and Medicaid want to help avoid overpaying. Their websites provide information if you suspect fraud or improper billing. They want to know about your suspicions. Checking with them can ease your mind if you are unsure and suspicious about the billing that you receive at a nursing home or assisted living facility. Each state has a Long-Term Care Ombudsman office to advocate on behalf of residents of nursing homes, board and care homes and assisted living facilities. They can also assist with complaints. The ombudsman program investigated 191,553 complaints nationally in one year several years ago. Go to LTCombudsman.org to get more information. An Elder Care attorney can build and defend your case in court. Billing departments often speak and reply differently when it’s an attorney asking for records, rather than a resident or family member. Deciding on an assisted living facility or nursing home for you or a family member can be stressful and emotional. The decision and selection process is confusing and sometimes time sensitive. Details are often missed. This includes types of services provided, types of programs, type of attendants, etc. The ultimate goal for everyone involved should be finding a home where the senior feels at home and enjoys living in and has the proper individual care. If you decide on a facility only to find that it is not working out as expected you need to do something to fix it or move to another facility. Talking to the senior attendant is the first place to start if you begin to have concerns about your current senior home. If you’re concerned that something isn’t being handled properly ask for an explanation, but nicely. As that saying goes, you’ll catch more flies with honey than with vinegar. Maybe there was an emergency that interrupted a service being provided so what you saw isn’t the norm. However, repeat “emergency” explanations will eventually indicate a problem. Try to correct the problem with the current facility to try to work out the problem. This might include seeking counsel on patient rights. You might assume that the assisted living facility or nursing home wants you to stay, but in reality, if they see you as a less profitable resident they might be happy if you left. This is why you need to know about your rights as a resident. You might be illegally manipulated into moving. If things can’t be worked out or it’s a voluntary discharge, then you will need to find a new senior housing solution. Do you remember how you chose the original assisted living facility or nursing home? Maybe it was decided on in a rush without a lot of research, as most are after an emergency. Unless you have been evicted, you have the benefit of time to perform research and comparisons to find a new home. Consider what you don’t like or what could have been better about the original assisted living facility or nursing home. You certainly don’t want to repeat the situation again. Finding a new assisted living facility or nursing home might be less stressful the second time around now that you have some experience with how things work. Think about what questions you didn’t ask the first time. An important concern is often overlooked: medication and prescriptions. These might be stored centrally within the facility and administered by staff. Because of the volume of drugs administered in such a facility, these prescriptions are often filled in bulk in 90 day supplies. There is most likely not a bottle with an individual resident’s name on it ready to be provided when discharged. A good suggestion is to take something to hold the medication or several medications individually and label each one with the name and dosage instructions. Prescriptions can be transferred easy enough but depending on the type of medication there might be limitations on the timing of refills. Don’t forget your medication that has already been paid for. Sometimes things can’t be worked out. Sometimes you change your mind. Whatever the reason is for transferring to another facility, make the move with open eyes. You might have worn rose colored glasses when initially choosing an assisted living facility or nursing home. Now you are wiser and better educated about how things work. Ask your questions and make sure you get your answers. You are no longer naïve about this. Go over the contract carefully. Maybe have it reviewed by a third party. Get the details in writing, not just verbal descriptions that might have lead you to believe differently the first time around.